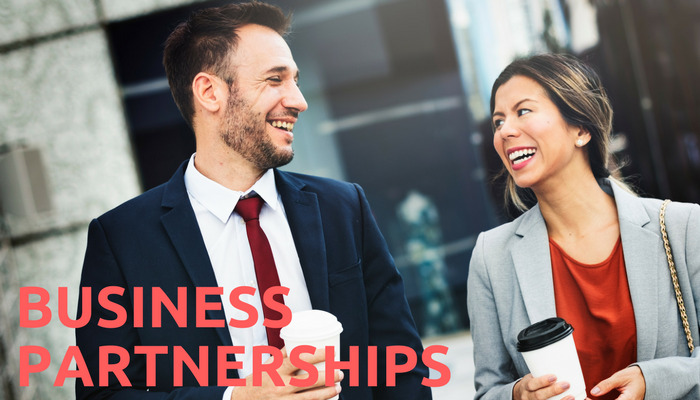 Business Partnerships- As business people, we spend a lot of time working with our clients and ensuring that they love the service we give them. We place a lot of value on word of mouth recommendations from our clients. Most of us, however, neglect a simple marketing tool that can save a lot of time and effort. Partnering with a business that services the same target market that we do. Now, I am not saying that you trot off to your main competitor and ask them for business leads. What I am saying is that you should identify a business that would be able to refer clients to you – someone in a complementary field. Let’s say, for example, that you are a chiropractor. Looking for a local GP to partner up with would make good sense. That way, if your clients need a GP you can recommend your partner and, if their client’s need a chiropractor, they will send them on to you. This can be a win-win situation for both of you, as long as you choose the correct partner. Here’s what to look for in this partnership. Carrying on with the GP/ chiropractor scenario. You would need to partner with a GP whose clients are able to afford chiropractic services and not just the once-off adjustment either, ongoing services. You want clients that you can build a relationship with over time for best value. Your partner, in this case, will be seen as an extension of your own brand. As a result, you both need to have similar values. You want your clients to be comfortable going to them, and their clients to be comfortable coming to you. If you have vastly different value systems, this might be harder to accomplish. Worse still, if they offend your clients, you will be the one bearing the loss of reputation. You go all out for your clients. You do those little extra things just to make them happy. You need to partner with someone who will offer them a similar level of care or watch your reputation suffer. Start out by considering which industry complements yours well. Then ask your clients who they would recommend that you speak to. Getting a word of mouth recommendation is essential here, you want someone that will properly complement your business and your style. When you have identified the right business partnerships, it’s time to reach out and see if they will meet with you. Explain to them what you have in mind and see how they feel about it. You never know how much business this one little trick can bring in for you. And you have the bonus of looking very clever for your clients as well – you will have a number of experts that you can refer them to for services you do not offer. eEndorsements is a complete feedback and reputations management software solution.